A narrow path leads up to Qumran, a series of caves dotting the stone cliffs where the Dead Sea Scrolls were found. The mouth of a recently discovered cavity, Cave 53, is gaping but once inside the space is narrow and dark, like a rabbit hole. Following its most recent excavation, Cave 53 is all of 15 meters long and 80 centimeters high. Dr. Oren Gutfeld, an archaeologist with the Hebrew University of Jerusalem who just finished his second excavating season at Cave 53, pointed to a wisp of straw. “This is almost certainly the remains of a mat from the Second Temple period,” he remarks. For a minute there, I’m breathless. After 2,000 years of concealment and 70 years of competition between archaeologists and robbers to find new scrolls – is it even possible that any remain to be found? After a few hours in Qumran, an obsessive optimism comes easy. Every node in the limestone rock suddenly looks like the lip of a jar with hidden treasure inside. The dust burns one’s eyes, but Indiana Jones would never give up at this stage. Cave 53 is one of about 500 caves between Qumran and Masada, some natural, some carved into the limestone cliff. It is in these caves that the search for Israeli archaeology’s Holy Grail – more ancient scrolls – is taking place. The first Dead Sea Scrolls were found in 1946 or 1947, since which time the area has been combed over by scholars and thieves. But hope remains alive. Caves 53 and 54 were discovered just recently, in 2017. True, they held no scrolls, just tantalizing clues – including wrappings – that they might have in the past. Evidently robbers got there first. The conversation with Gutfeld takes place at the entrance to the cave. In the two excavation seasons conducted in Cave 53, many non-scroll objects have been found, some of them valuable, some from prehistoric times and from the Second Temple era. There was a moment in the last season that Gutfeld uttered the words he had dreamed of: “Bring the scrolls kit.” It contains silk gloves and containers with hermetic seals to protect precious finds. “I was so excited I couldn’t speak,” he says. But the find turned out not to be a scroll after all. Last week Gutfeld and his team began excavating Cave 52 on behalf of the university. Its mouth is at a difficult-to-reach spot on the upper part of the cliff. It’s harder to reach than Cave 53. Over the coming weeks they hope to find remains and clues from the 2,000-year-old cult. Perhaps they’ll even find a scroll. The scrolls are primarily religious manuscripts containing 230 texts from all the books of the Bible except for the Book of Esther. They also contain non-biblical Jewish texts from the end of the Second Temple period, apocalyptic and ritualistic essays, and descriptions of daily life. The fact that in 2019 explorations to find scrolls are still ongoing may sound surprising. Gutfeld thinks otherwise. “To many it seems obvious that everything that could be found in the Judean Desert caves has been found, and they are empty. But in the last few seasons we proved that there are findings galore and that these excavations are very important,” he says. The problem is that world-class antiquities attract robbers like flies. To this day items from Qumran can be found offered for sale that had not been found in orderly archaeological excavations. In the seven decades since the original discovery, archaeologists have been competing with robbers, most of them local Bedouins. So far the Bedouins have been winning by landslide. 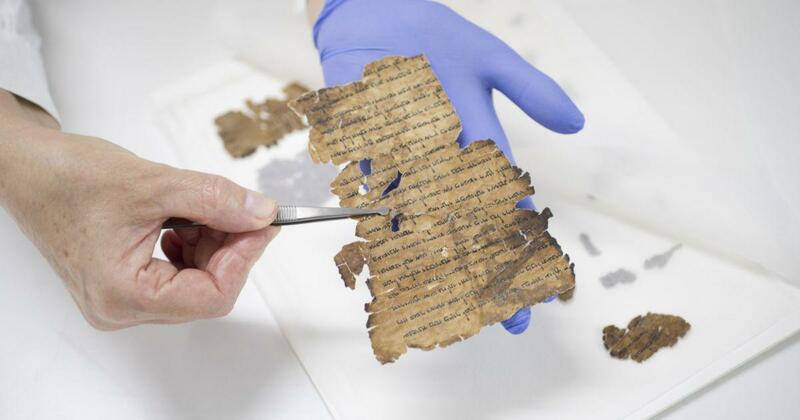 It was Bedouin shepherds who, in 1946 or 1947, discovered seven parchment scrolls covered with ancient Hebrew writing that had been hidden by members of a Jewish cult living in Qumran during the first century. The shepherds sold the scrolls to two merchants in Bethlehem. Prof. Eliezer Sukenik of the Hebrew University – the father of Yigael Yadin – bought three and the other four were sold for $250 to the head of the Syrian-Orthodox monastery in Jerusalem. The archbishop took them to the United States and tried to sell them there. In 1954, Yadin, who had completed his term as the Israel Defense Forces’ second chief of general staff, noticed a newspaper ad that offered the four scrolls for sale for $250,000. These seven scrolls are on display at the Shrine of the Book in Jerusalem, and they considered the heart of ancient Jewish culture.